When shopping for a new mattress, many people are concerned about the chemicals found in many conventional mattresses. After all, we spend one-third of our lives in bed, so it’s important to sleep on a healthy, natural mattress that is free of harmful VOCs. Another major concern people have is how environmentally friendly the mattress is. Does it contain natural components? Is it biodegradable? Is it produced using eco-friendly manufacturing practices? It is true that most conventional mattresses contain synthetic ingredients and chemicals. However, if you’re willing to look beyond the large commercial mattress manufacturers, you will be able to find some healthy, natural mattress alternatives. Should I buy an organic mattress? There are currently no rules or regulations for what makes a mattress organic. There are also no federal organic certifications. Therefore, technically, any mattress with just one organic component can be labeled “organic,” even if it contains synthetic materials or chemicals. Mattresses with the “organic” label tend to have hefty price tags. Organic mattresses don’t have the best track record when it comes to comfort and durability. Some organic raw materials, like cotton and wool, are actually less desirable than their all-natural counterparts are. The truth is that many people who set out to buy an organic mattress actually end up disappointed with the offerings they find, especially if they’ve grown accustomed to the comfort and durability most conventional mattresses offer. What are my other natural mattress alternatives? Most mattress companies use either almost no natural materials or all organic material. We’ve found that neither option gives you the best mattress. We believe that the best natural mattress alternative is a mattress that uses all-natural materials as much as possible without sacrificing comfort, durability, and affordability. Organic cotton can contain environmental contaminants like bugs, weeds, and pollens that not only lower the quality of the cotton but can also present health concerns. Natural cotton, on the other hand, is cleaner, softer, and more durable. While not “organic,” it is still an all-natural product. 100% organic latex lacks consistency and durability, as everything from the amount of rainfall to the average temperature can affect the quality of natural latex. However, blending 80% natural latex with 20% synthetic latex offers the most comfort, durability, and consistency in a mattress. And it’s still almost all natural. Organic wool does not have the fiber strength of products like pure, natural Joma wool. Though it is not organic, pure Joma wool is a natural alternative that is by far the best wool to use in a mattress. We call this balancing act a “practically green” approach to mattress manufacturing. We believe that this approach is the best way to offer sleep solutions that are healthy, environmentally friendly, comfortable, durable, and affordable. A practically green mattress is the best natural mattress alternative. What makes a mattress green? A mattress is considered “green” if it uses minimal or no synthetic ingredients or chemical additives. Technically, there are no true organic mattresses because there is currently no government organic certification standard for the mattress industry. However, it is possible to find a mattress that is both eco-friendly and healthy. Most conventional mattresses are made of petroleum-based polyester, nylon, and polyurethane foam, which can all emit potentially harmful VOCs. Green mattresses, on the other hand, are made from natural, earth friendly materials. When shopping for an eco-friendly mattress, don’t be fooled by terms like green and all natural. Anyone can label a mattress green, even if it contains only 10% natural materials. Instead, ask the salesperson or manufacturer about the specific materials used to make the mattress. Tweet this! Natural, untreated wool – Wool wicks moisture, is naturally dust mite–resistant, and is a natural fire retardant that doesn’t require the addition of any chemical flame-retardants. Natural latex – Natural latex is derived from rubber treesand is a healthy alternative to synthetic and chemical-laden memory foam mattresses. You can also check to see if the natural or organic mattress has any eco-friendly certifications. 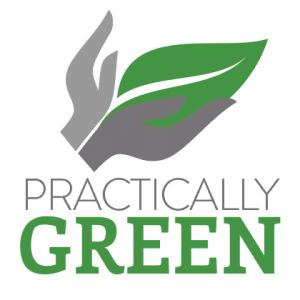 While it’s true there are no government standards for green or organic mattresses; there are reputable organizations that conduct their own testing and offer certifications to mattresses that meet their standards. Oeko-Tex is one example of an independent, third-party certification company. The Oeko-Tex Standard 100 is a leading global testing and certification process that ensures textile materials and home furnishing products do not contain harmful substances or pose a health risk to consumers. How Can I Avoid Toxic Fire-Retardant Chemicals? All mattresses – organic mattresses and conventional mattresses – must meet federal fire resistant standards. The Consumer Product Safety Commission requires that all mattresses sold in the U.S. be able to withstand 30 minutes of exposure to an open flame. To meet this standard, most conventional mattresses are treated with flame-retardant chemicals, such as boric acid, silicone, and phosphates, to make them fire resistant. These chemicals not only produce a strong odor when off gassing, but they are potentially harmful. To meet federal fire resistant standards, natural mattress alternatives have found a more natural solution than dousing the mattress in chemicals. They simply wrap their mattresses in wool, which is a natural fire-resistant material that offers the same protection as chemically treated mattresses. Just without the harmful chemicals. If you’re in the market for a new, natural mattress, we have a free eBook that can help take the guesswork out of the mattress buying process. The Ultimate Mattress Buying Guide will walk you through the process of choosing the right mattress for your sleep style, as well as what to look for in a natural mattress alternative.